Last night, the ladies decided to have a girl’s night, where we gossiped about the latest television hotties and consumed large amounts of red wine. A few exhausting drunk hours later, the ladies finally flowed out my house, except for Michelle, who stayed a while longer. We started chatting about how we wished we had the energy we had when we were younger. I told her I’d love to be 20 years old again and hit those nasty uphills on my routes. At my age, I feel like I may just peg at any moment climbing those abominations! Michelle suggested I try eating an energy bar before I ride, which isn’t a bad idea if they weren’t practically the same price as 200g rump steak! That’s when I decided to hit the net and research what I can intake to increase my energy. 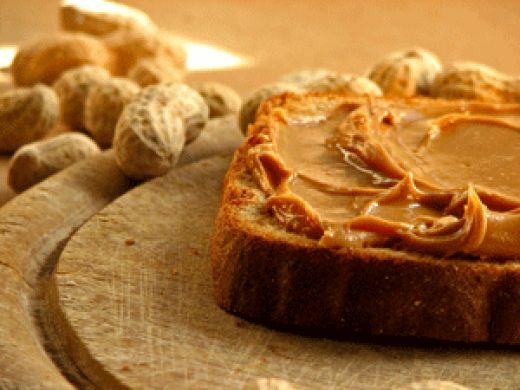 After finding some disgusting options, such as rice cakes and rye crisp-bread, I eventually found something worthy of my taste buds and stomach – a peanut butter sandwich. No wonder the kids always have so much energy all the time, they are balls of peanut butter inspired energy!